THE HEYDAY OF THE INSENSITIVE BASTARDS starring James Franco (This is the End), Kate Mara (The Martian), Natalie Portman (Jackie), Rico Rodriguez (Modern Family), Abigail Spencer (Mad Men), Amber Tamblyn (Django Unchained), Thomas Mann (Kong: Skull Island) and Kristen Wiig (Ghostbusters) is based on short stories from Robert Boswell’s critically acclaimed book. The film explores the difference between fantasy and reality, memory and history, and the joy and agony of the human condition, through seven tales. The result is an ambitious series of vignettes ranging from comical to bittersweet to poignant. 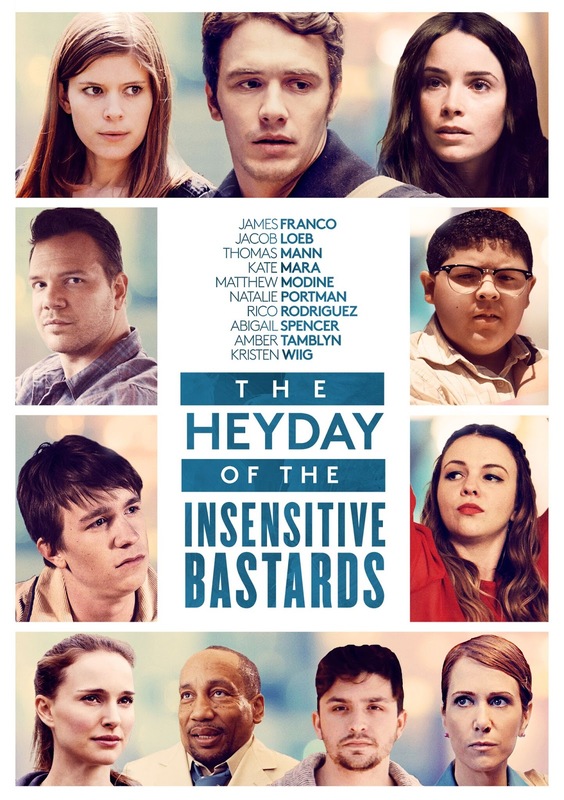 HEYDAY OF THE INSENSITIVE BASTARDS has a theatrical release date of October 27, 2017. Also releasing on Digital & On Demand on the same day.